In an emergency, every second counts. Michael Boyer, a member of the Arroyo Grande Community Hospital Foundation Board of Directors, has experienced first-hand the prompt and skillful care offered at the Emergency Department. On the eve of his birthday, Michael stood up to get ready for bed after a relaxing evening on the couch. As he stood, he felt the stitches from a recent surgery begin to separate. His surgery had gone well, and he had no reason for concern throughout the two weeks he had spent recovering up to this point. However, he was surprised by the unusually heavy amount of blood that began oozing out of the separated stitches. 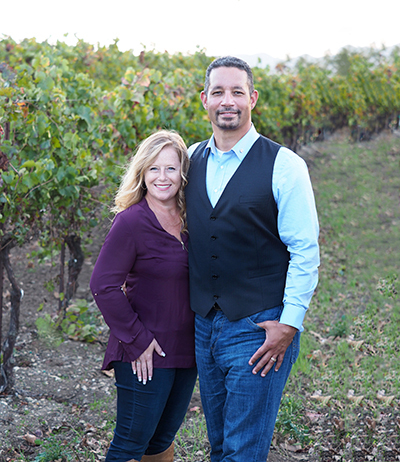 Once he and his wife realized that they could not stop the bleeding, and fearing for Michael’s safety, they got into their car and headed to Arroyo Grande Community Hospital as fast as possible – before he even had a chance to get dressed. Although he was in a distressing situation, Michael reflects on that night with gratitude as he remembers the kind, highly-skilled care provided by the staff. His nurse, Rebecca Cramer, was a shining example of this as she went above and beyond in providing privacy, comforting words, and pain-free, efficient care. An IV was inserted in his thumb without pain while his original surgeon rushed to the hospital to diagnose the problem, which was discovered to be a draining hematoma. Unfortunately, it wasn’t long before Michael found himself back in the hospital. A mere four days later, he was involved in a major car accident. He was admitted once again to Arroyo Grande Community Hospital, where he received stitches above his right eye and was tested for a concussion. Thankfully, he was okay, and he was once again impressed by the high quality of care provided by the hospital staff. Michael has since recovered from both of these incidents and is doing well, and now only visits the hospital for his duties as a Foundation board member. However, he noted the lasting emotional toll that these situations take in addition to the immediate distress and physical pain. “I am fully recovered now, but going through those kinds of situations really makes you think,” he said. Every emergency is unexpected, which makes it so important to have an exceptional Emergency Department close to home, ready to provide lifesaving care at all times.